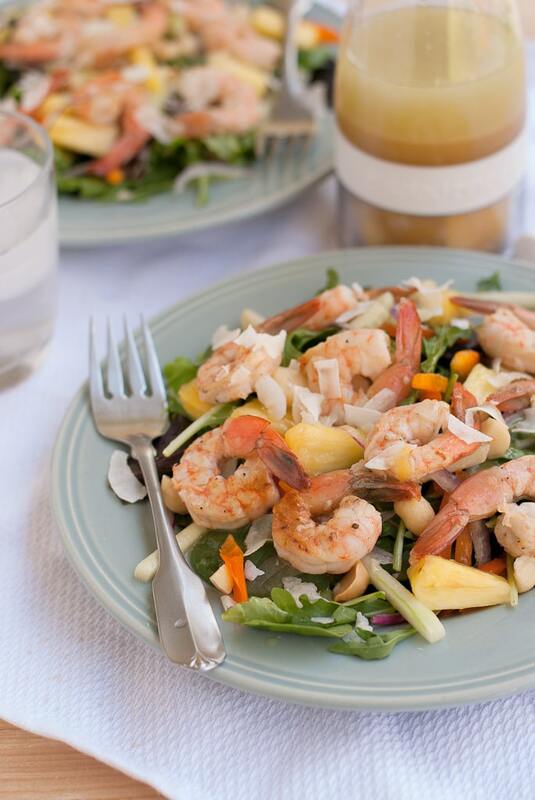 There are a few salad dressing and or vinaigrette recipes I make, but they are usually a whisk the ingredients in a bowl, oil, vinegar and spices and the like, and it makes 2-3 servings. 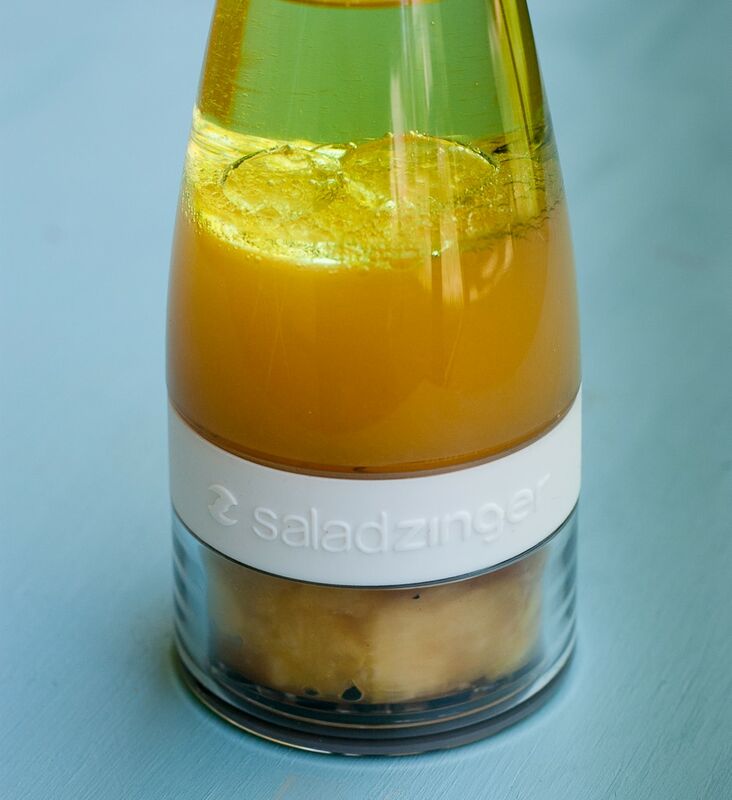 When Sweet Relish contacted me and asked if I was interested in creating a recipe for a fun campaign for Zing Anything using their salad dressing infuser called the Salad Zinger. I was interested and said, ” sure, why not?” They mentioned they would love to see a “Hawaiian” twist on a recipe from me. Of COURSE I could do that!! I always have these at home. 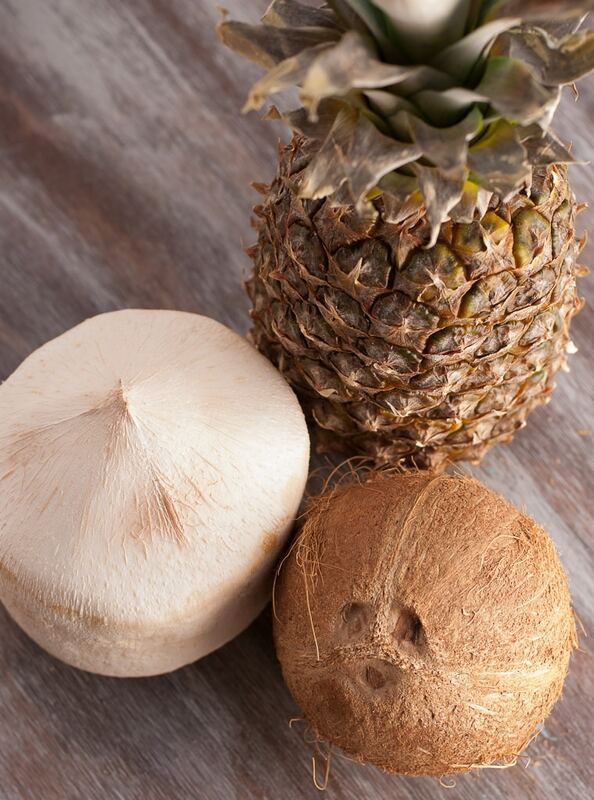 A fresh, young coconut, a mature coconut and a pineapple. House staples. Plus they look cool as decor. All my ingredients ready for the Salad Zinger. Instead of my normal whisking or blending the dressing ingredients, this uses whole ingredients that get infused into the dressing. 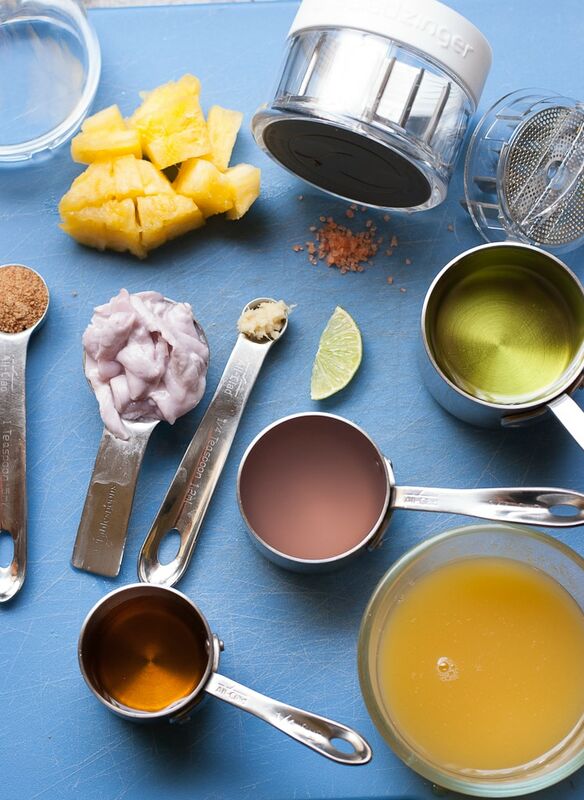 The bottom cup contains blade that when the top is twisted on, grinds up the whole ingredients to start the infusion process. 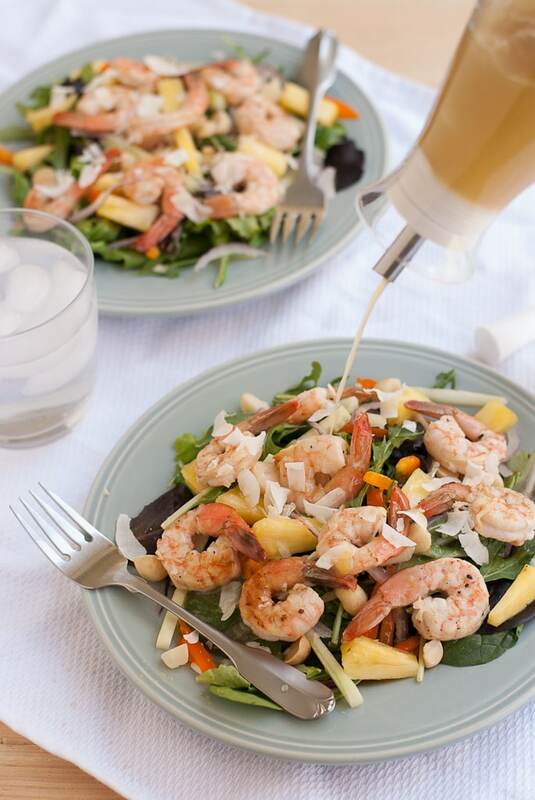 Grilled Shrimp Salad with Pina Colada Dressing Makes 2 salads plus vinaigrette for the marinade and leftover vinaigrette . Prep Time 30 min up to overnight. 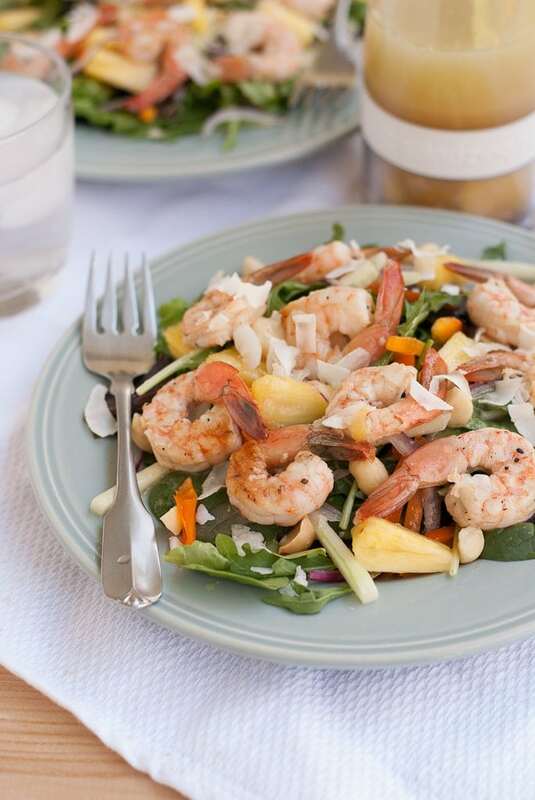 In the base cup of the Salad Zinger place the chopped pineapple, fresh coconut, grated ginger, lime slice and coconut sugar. Make sure it is completely filled, add more if necessary. Place the grinder cap on and give it a few turns. Then screw the cruet on tightly. Add the rest of the ingredients via the top of the cruet, place the spout/stopper on top tightly and the cap. 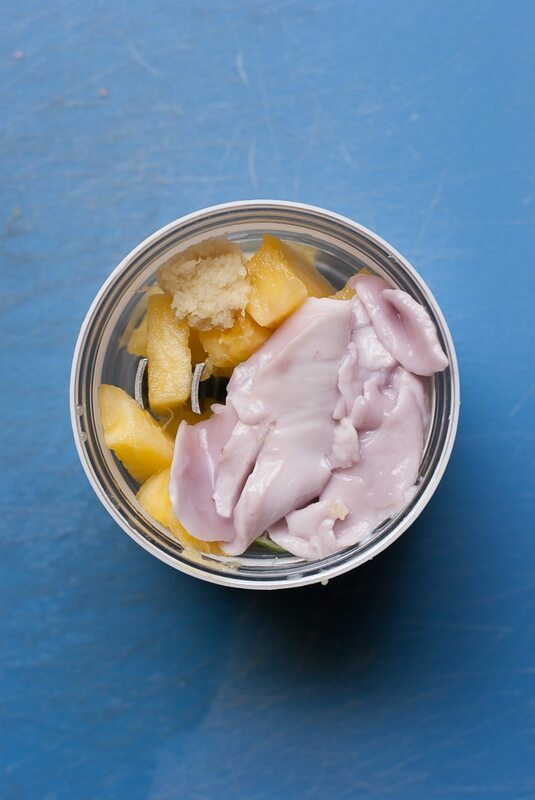 Shake well and let rest 30 min to overnight to fully infuse the flavors. Place the shrimp in a bowl. 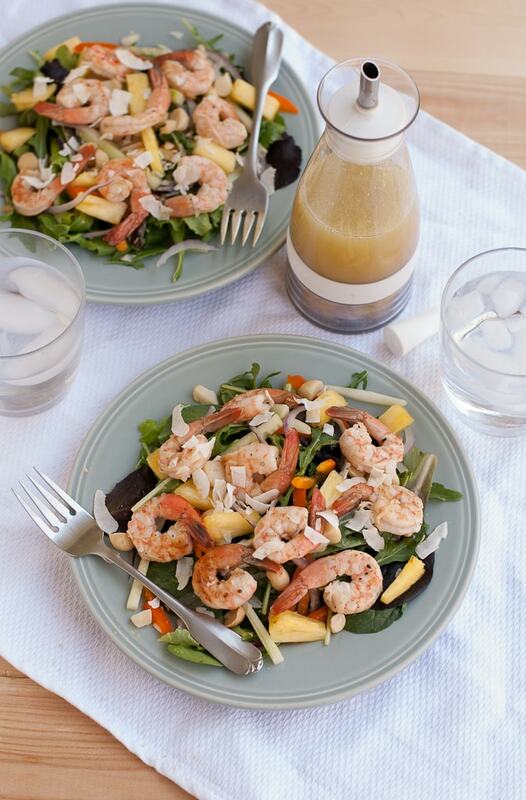 Shake the vinaigrette again well to mix and pour a generous half of a cup over the shrimp. Let marinate 30 minutes. Pre-heat the grill. 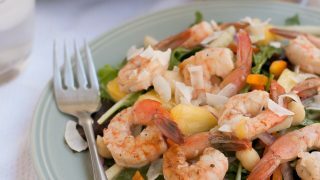 On 2 plates or salad bowls divide the baby lettuce mix and top with the rest of the ingredients through coconut flakes. Set aside. 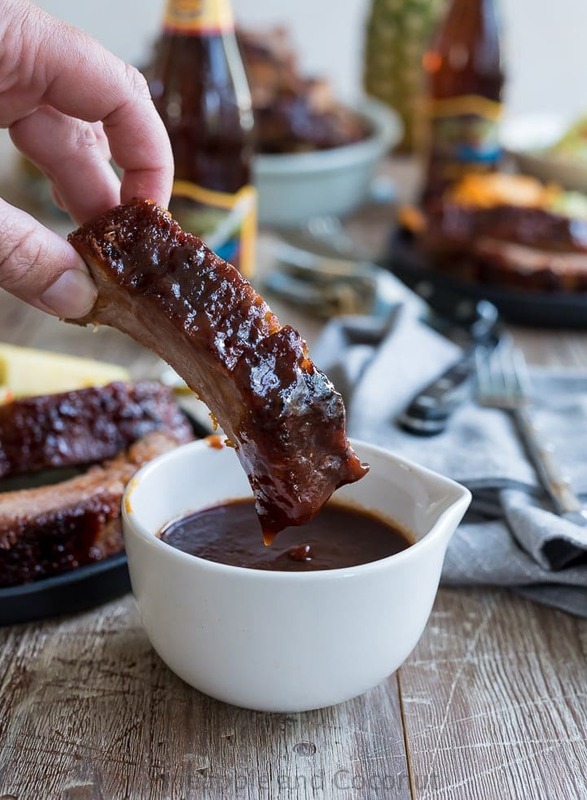 When the grill is hot, using a grill pan or skewers lightly oil the grill and cook the shrimp and baste with marinade turning once after 2 min, until opaque, but not overcooked. 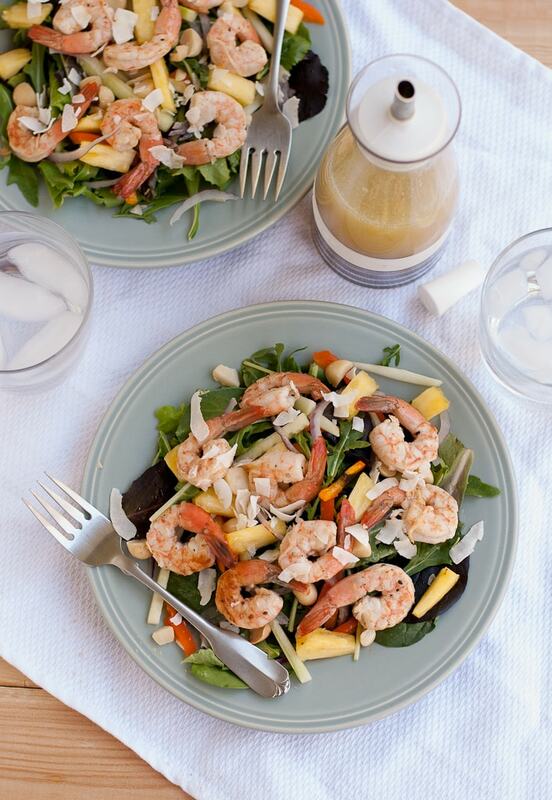 Divide shrimp amongst the salads and lightly drizzle with vinaigrette. Season with salt and pepper to taste. Pretty much summer on a plate!! 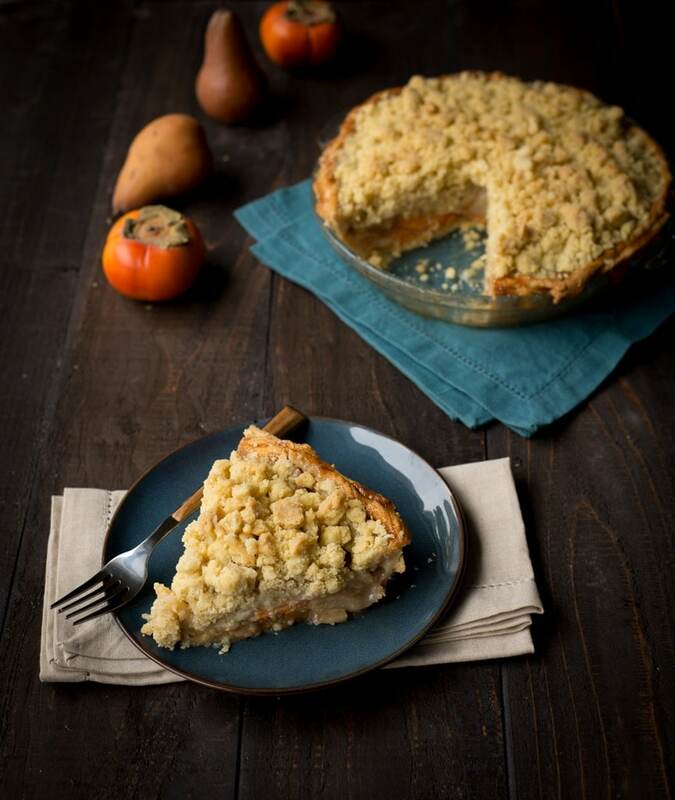 I was pleased with how my recipe came out. Very light and perfect for summer. Don’t forget to vote! I was given a Salad Zinger for this campaign. Opinions are my own.